The Gefen EXT-DVI-141DLBP Dual-Link DVI Booster Plus can extend DVI signals with maximum resolutions of 3840 x 2400 up to 200 feet over standard copper dual-link DVI cables. In addition to far exceeding the typical 15 foot limitation imposed by copper cables, the Booster ensures that the video signal is free of distracting artifacts such as sparkles, static and lines. DDC signals are also strengthened to ensure that the communication channel between the display and the DVI source is robust and uninterrupted. 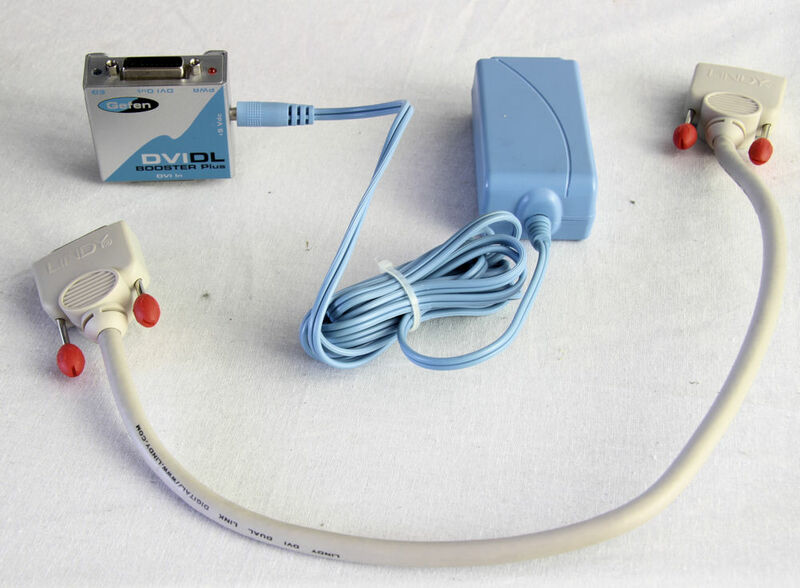 The DVI DL Booster Plus is an excellent solution for those looking for a cost-effective way to extend dual-link DVI video.